Open notifications from settings menu or via terminal. Applications Tab list of known apps fills bottom of window. Open notifications from Settings Dialogue. Applications Tab list appears to only show 2 and a bit of known apps. Screenshot attached. Setting Dialogue on right. Built and installed from master. 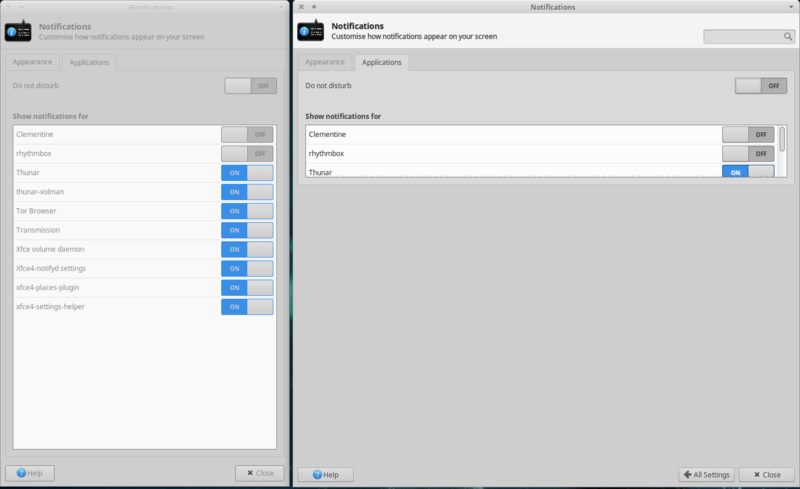 Notifications run from Settings manager now shows more, still not filling window though regardless of window size.